The best reviews are written when the reviewer actually has experience with a product or service. As I’m a devoted IceGram customer, the powers that be at IceGram decided it would be worthwhile to gain my perspective. I was very flattered that they would ask for my opinion, and after an exchange of email messages, this Icegram review and interview took shape. I believe it’s very forward-thinking of IceGram to gain feedback from their community, and it’s and honor to be one of the folks selected to share personal IceGram experiences. Q. IceGram – What is your background and how did you become an affiliate marketer? A. Annie – Retired from the workplace, I want to keep my mind active and my days busy with purpose. In addition, financial realities are such that I’m in a position where I have to expand my modest pension. As my wonderful son was already entrenched in the affiliate marketing field, I thought that I could help him and benefit in the process. I loved the prospect of earning money at home. Affiliate marketing presents a continuous learning curve, especially for someone like me who is from the older generation and never had access to a computer growing up. Still, there exists so much helpful information online about this type of marketing, and key points are slowing seeping through. Q. IceGram – What project are you currently working on and how did this lead you to IceGram? A. Annie – As I learn by reading, I also learn by doing. I’m the primary researcher and writer for the review website, http://prominentoffers.com. Here, we highlight a variety of products that appear on platforms such as Clickbank, CPA networks, and JVZoo. While I’m proud of the content we feature, and relieved that sales are materializing, I still believe that there is much that I can do to further monetize the site. For example, I now know the importance of building a list so I researched a type of contact form that could work in concert with our autoresponder, Get Response. In addition, perhaps I could make any visitor to our site second-guess his/her decision to leave without purchase. 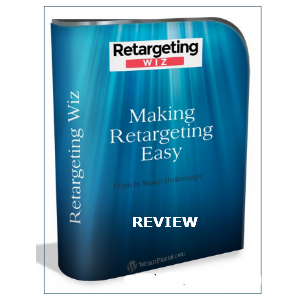 An exit pop up, for instance, may provide another opportunity to convert a sale. I also thought that strategic placement of ads using action bars and ribbons could lead to a greater earnings per click. Of course, on my wish list, these options had to look professional yet still galvanize attention. After much investigation, spanning a couple of weeks, I discovered IceGram, and was immediately impressed with the diverse options available and their eye-catching, professional appearance. Q. IceGram – What IceGram options caught your eye? A. Annie – I immediately was intrigued by the messengers, toasts, and stickies because I could use them to place important notes to my readers. IceGram also provides attention-grabbing behavior calls to action (i.e., behavior triggers) and exit pop ups to persuade visitors to re-examine any given offer or get introduced to a related offer. Other types of pop ups, such as timed pop ups, are available as well. The action bars, placed on the header or footer sections of any site, are also eye-opening. The sidebars can be used to great effect, too, and made unobtrusive by simply closing the window. An added bonus: Statistics on each individual IceGram campaign are provided as part of the package. Your fast-growing company and plugin also offers a bevy of other options, such as A/B split testing, overlay, geo targeting, and the list goes on – all at a very reasonable and affordable price. Needless to say, just about all your options caught my eye. Consequently, this was a no-brainer purchase for me. And unlike many other bright shiny objects that I have bought, there’s absolutely no buyer’s remorse for this IceGram customer. 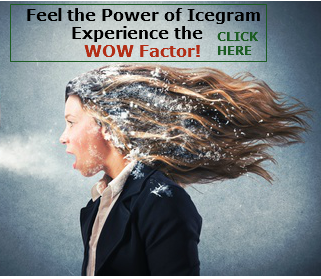 Q. IceGram – Is IceGram easy to use? A. Annie – The options are intuitive and simple to use – even this rather addled brain was able to make sense of it all. 🙂 I can literally launch an IceGram campaign in a minute or two. And when I do have a question or two, IceGram representatives quickly share insight in a very thoughtful, clear, and professional manner. Q. IceGram – What difficulties has IceGram solved? A. Annie – Since using IceGram, the bounce rate of http://ProminentOffers.com has decreased and the time spent on the site has increased. Moreover, several sales have directly originated from the use of these options. Judging from the analytics, the most popular options for me thus far have been the exit pop ups, sidebars, actions bars, and stickies. I still have to learn how to best utilize these tools for optimal conversions. For example, it’s important not to use too many tools on a given page. (I think using more than two may make the page look too busy and distract your message.) But by implementing such options, I know the conversion rate has been enhanced. Q. Icegram – Did you compare IceGram with other competing tools? A. Annie – Yes, as I mentioned earlier, I did a lot of research. I always came back to IceGram after my disappointment with competitors’ pricing models and/or option lack of functionality. I’m firmly convinced that IceGram easily beats its more expensive competitors – both in price and in function. I’m also confident that IceGram will continue to add more options, and even refine current ones, if that’s even possible. I’m so grateful to have these tools at my disposal, all helping to build my ProminentOffers brand … and sales.